We love BUBBLES! Becky Butler always delivers! These unique bubble bowls will available at the Horizons Empty Bowls Fundraiser on March 30th. Join us for a simple meal of soup, bread and dessert and take home a hand painted “Empty Bowl” as a reminder of those in our community who are unsure where their next meal is coming from. 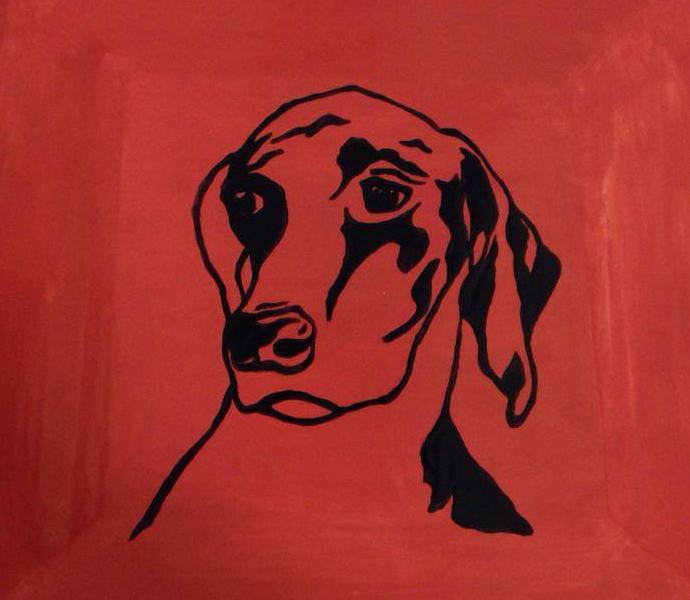 The silent auction at the annual Empty Bowls fundraiser features plates painted by local Quincy artists. 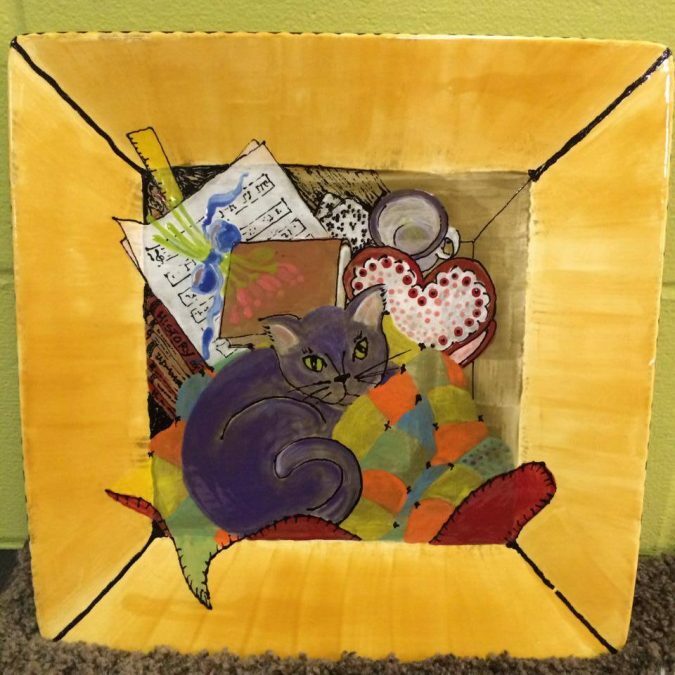 “Cat Box” by Peggy Phillips is the newest masterpiece for Empty Bowls “Local Artist” Silent Auction! It’s all in the family! The Fisher girls joined in the fun and painted bowls to help support Empty Bowls! They are looking forward to eating cereal from their “empty bowls”! 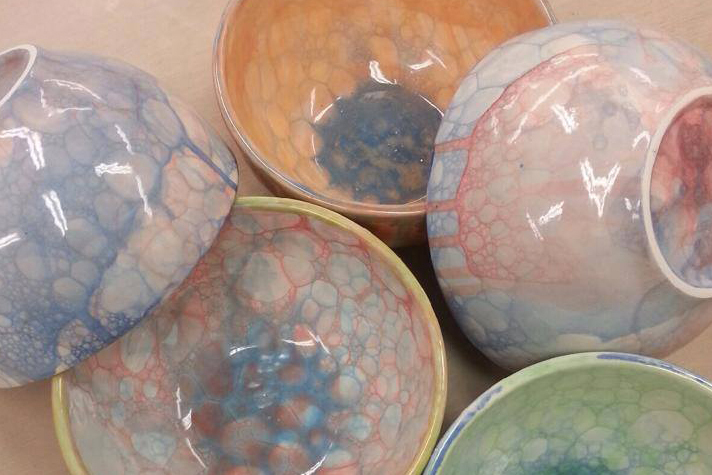 Theresa Spear has created another amazing work for Empty Bowls. This German Shorthaired Pointer, Artemis, is a beloved Spear family member! 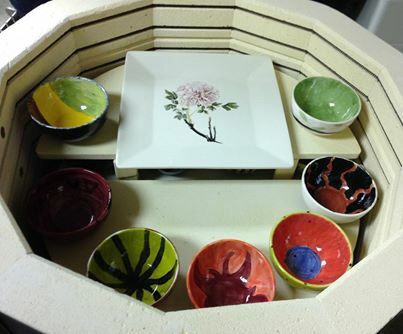 When I stopped by Horizons today, I was able to catch a glimpse of the top shelf of the kiln. It had bowls and a gorgeous plate by Jennifer Bock-Nelson. 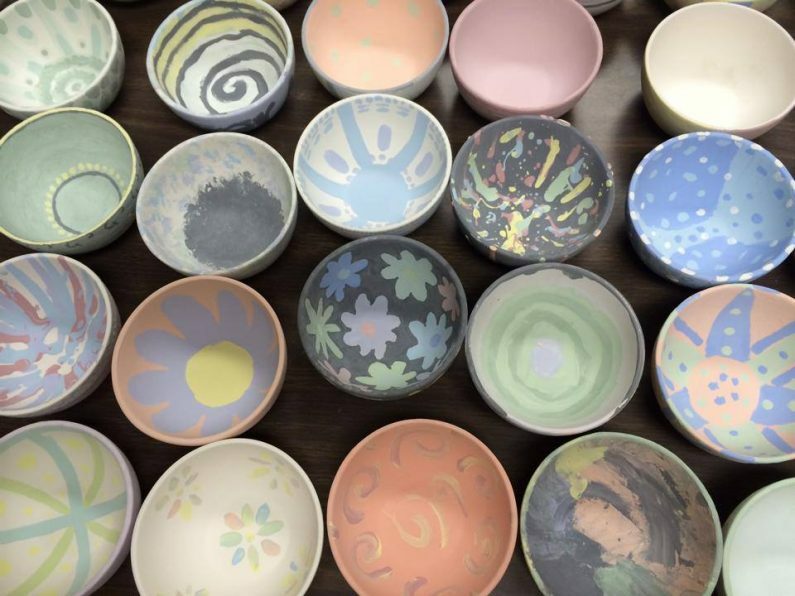 Quincy Senior High School art student’s bowls are painted and ready to be glazed! We are blessed to have so many talented artist participating in Empty Bowls.